Many fitness enthusiasts and those who want to get in shape often opt for a rowing machine over stationary bicycle or treadmill. Why? Because it is one of the best machines for achieving your fitness goals. Using a rowing machine can boost your mood and immune system, help you lose weight, and of course get stronger. The greatest advantage of a rowing machine is that it’s a full-body workout. When using a rowing machine, both upper and lower body is involved (although lower-body is much more activated). Another benefit is that rowing puts minimal pressure and stress on the joints. So, even those who cannot perform workouts that include weight-bearing such as yoga or running can use a rowing machine. Whether you want to get in shape or level up your fitness journey, you need to buy the best rowing machine. And for that, we are here. We bring you a buyer’s guide and rowing machine reviews to help you start rowing from the comfort of your home. Space Recommended For Use 9' x 4' 82" x 19" x 23" 77” x 18.75” x 22” 50" x 36.2" x 20" 53" x 26.5" x 36.3"
And we came to rower reviews. Below you’ll find the best rowing machines on the market, and the pros and cons of each one. 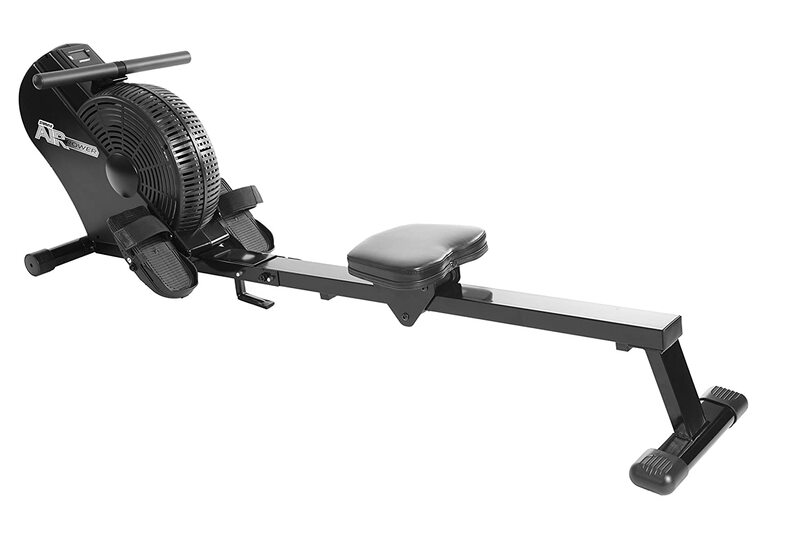 Keep on reading to find the best rowing machine for you! The Concept 2 rowing machine is a top-of-the-line rower that has all you need to track and achieve your fitness goals. It’s the best rowing machine in 2019. Everyone has heard of the Concept 2 rowing machine; even those that are new to rowing. As one of the top-rated rowing machines, this model is #1 in indoor rowing competitions, rehabilitation clinics, fitness centers, as well as for fitness enthusiasts. So, if you plan to get this one, be sure it’s a perfect match. The machine is equipped with a performance monitor that enables you to track all stats. It also features preset workouts and is Bluetooth compatible. You can transfer the data to your computer with USB to hold yourself accountable and stay on track. This model is designed to give you full control – you can adjust the footrests and the handles offer a nice grip. The rower machine is sturdy and can withstand the weight up to 500lbs. What’s more, you get a 5-year warranty on the frame and a 2-year warranty on parts. This only confirms that the Concept 2 is engineered to last. The Concept 2 takes up a space of 9 x 4 feet but it can be stored easily when not in use. Don’t worry, it will take you a few minutes to assemble it again once you need it. While this model is one of the bests, nothing is perfect. The problem with this one is the seat. Namely, it’s too hard which makes it uncomfortable after 15 minutes of workout. The magnetic rowing machine by Sunny Health & Fitness is a great choice for beginners. It’s affordable, operates smoothly and silently, and has basic stats that you’ll need. If you want to start rowing, it’s best to buy a cheap rowing machine and upgrade from there. Here we have a magnetic rowing machine by Sunny Health & Fitness. This one could be a great foundation for your fitness journey. It has essential basic stats which is reasonable at this price point. The machine offers decent quality and smooth performance. You can adjust the resistance to your needs and ability in order to challenge yourself. Non-slip handlebars and comfortable seat ensure safety so you can fully focus on rowing. Pivoting pedals offer additional comfort and security. Another benefit is the quiet operation. Thanks to it, you won’t bother your neighbors or the person you live with. 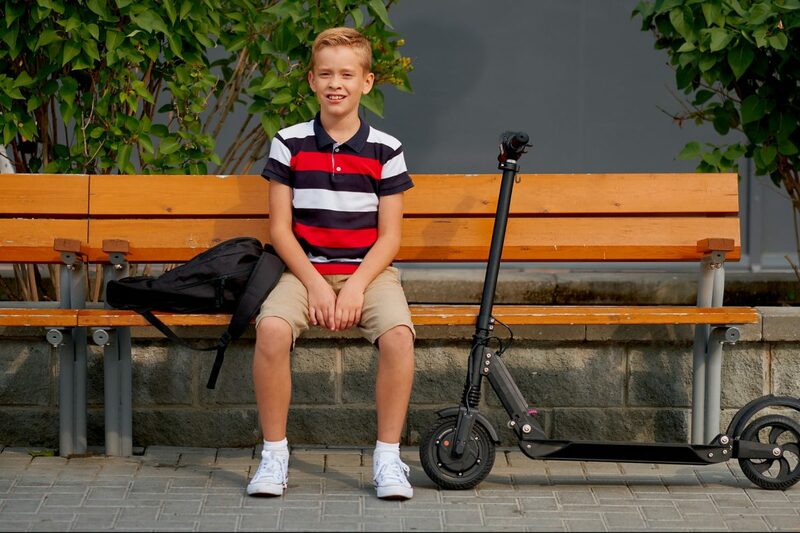 Assembly is fast and easy, and so is transportation, thanks to built-in wheels. The LCD display is very low so you cannot read the stats from the seat. The display is also hard to read because it is not backlit. 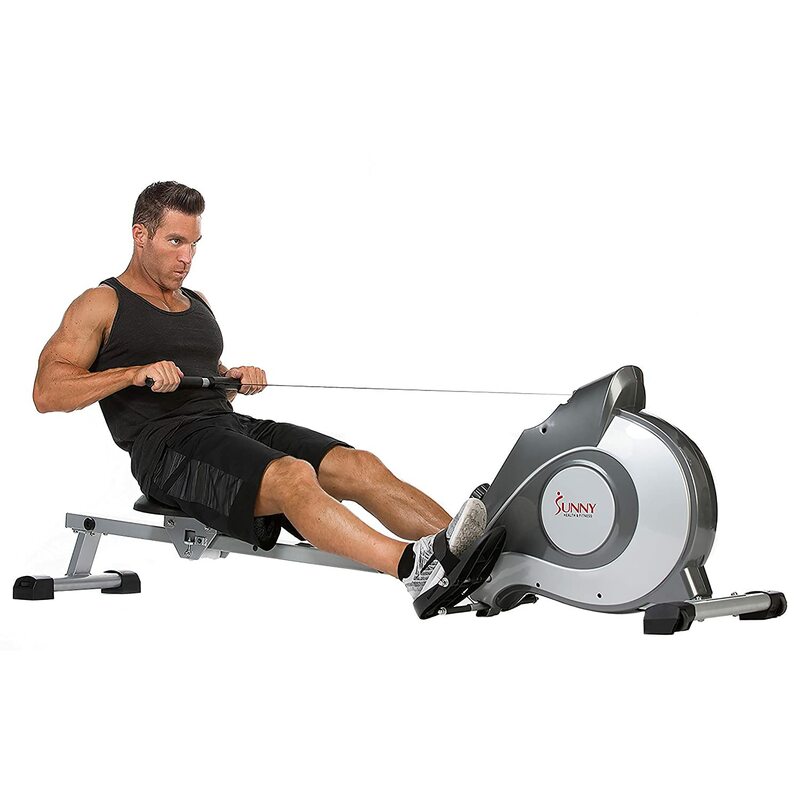 The Stamina Air Rower brings comfort and durability, allowing you to fully enjoy your workout. The Stamina rowing machine is affordable and good quality rowing machine. If you’re looking for an air rower to boost your fitness routine, this one won’t disappoint. What we love about it is that anyone can use it, whether they are beginners or professionals. Since this is an air rowing machine, it creates a smooth and continuous action every time. And you can control resistance level as you want. To create more resistance, pull harder. It’s important to buy a rowing machine that will allow you to reach your full potential without compromising comfort and safety. And this one offers that. Thanks to a steel frame, this machine is robust and solid, providing you support you need. 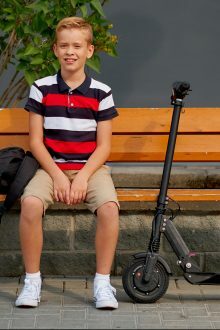 There are also adjustable straps to keep your feet in place whereas the padded seat and handlebar will give you enough comfort so you can focus on the task at hand. Now let’s talk about stats. The Stamina Air Rower has a monitor that displays the speed, distance, calories, and workout time so you can track your progress with ease. This will help you stay motivated and challenge yourself. When it comes to assembly and storage, the machine is both easy to set up and fold down. It’s even easy to move from place to place thanks to rolling wheels. Maximum weight capacity is 250lbs.and this model comes with 1-year part warranty and 3-year frame warranty, which is not bad. On the downside, the Stamina air rower is louder than more expensive air rowers. However, this type of rowing machine is known to produce a lot of noise anyway. The Harvil rowing machine may not come with the bells and whistles, but at this price point, it doesn’t have to. What we have here is a good machine for the money provided, especially if you don’t have an ample room at your disposal. The unique color and small footprint make this model a great fit for your daily fitness routine. Once you install it, you’ll be motivated to use it every day rather than buy a large model and keep it in the closet all the time because it’s just too much hassle to assemble and reassemble it every day. If you live in a small house or apartment, this may be a great home rower for you. This hydraulic rowing machine comes from Harvil and is the cheapest model from this brand. It’s a great choice for starters and those who don’t want to spend too much on a rower. Despite the low price, this machine offers good value for the money. First, it has a steel frame that is strong and will last many years. Next, the seat is comfortable so you will enjoy the workout. The machine comes with folding arms, which is another great feature. Folding arms allow you to row in a circular motion and hence activate a greater group of muscles. And when you’re done with the workout, you can fold the arms away and free up more space. Speaking of which, this model is small, taking up 50 L x 36.2 w x 20 H inches when assembled. The side rail is also short at 35.4”. So, the rower will take up little space. We also should mention that the unit is easy to assemble and you can even use video assistance. However, it doesn’t fold down and the rail may be too short for some people. Another downside is that the maximum weight capacity is only 265 lbs. whereas most rowers can stand up to 300 lbs weight. 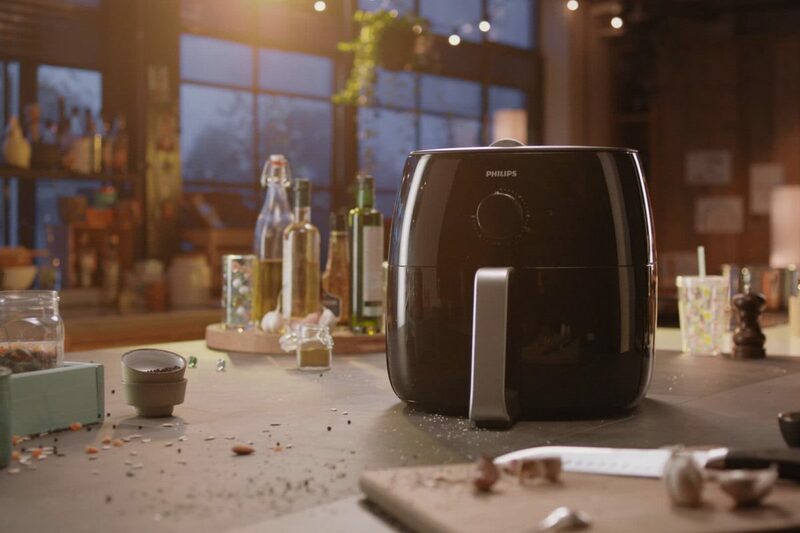 But let’s see what other great features this little guy has to display. The LCD monitor, for example. The display is large and easy to read. It tracks time, total stroke count and calories, and also has a handy scan feature. By tracking your progress easily, you will be motivated to push till the end of your workout and stay motivated. 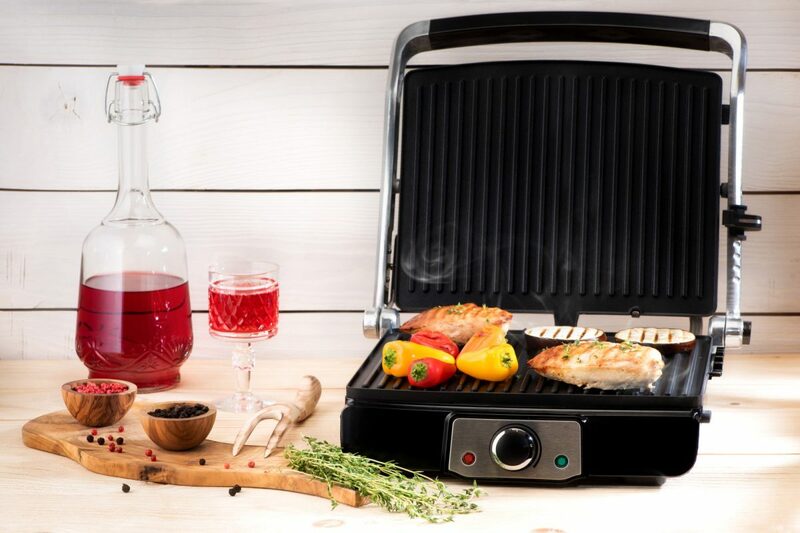 The last feature we want to mention is the vivid and unique design. Compared to black rowing machines that look ordinary, this one looks very inviting and is easy on the eyes. The teal accents will certainly add a nice touch to your fitness routine and inspire you to do more. While this is a cheap rowing machine, we still don’t like a short 180-day limited warranty. The ProGear 750 is an affordable and versatile workout machine, being a great choice for fitness enthusiasts who want to do more. If you want to add diversity to your routine, this home rowing machine could be just what you need. The ProGear 750 is one of best rowers that you can buy if you plan to do more than just rowing. Here we have an indoor rowing machine that offers a great value for the money because you can do over 10 exercises, including rows, shoulder presses, pull downs, bent over rows, abs workouts, and more. So, if you want to make your fitness routine diverse, this is what you need. With 3 levels of resistance, 3 rowing positions, slide rail that can be adjusted anywhere between 37″ – 43″, and handles that can be adjusted independently, every user can adjust the machine to their own needs and height. This is great if more people will be using the rower. As for the display, it shows time, rep count, Scan, calories burned, and total rep count, making it easy for you to see how far you’ve come. The foot pedals are large and come with an adjustable strap so your legs stay in place. Also, the pedals are anti-slip meaning you stay safe during sweaty workouts. There is also an oversized, comfortable seat for maximum comfort and support during the workout and a backrest that minimizes unnecessary pressure. 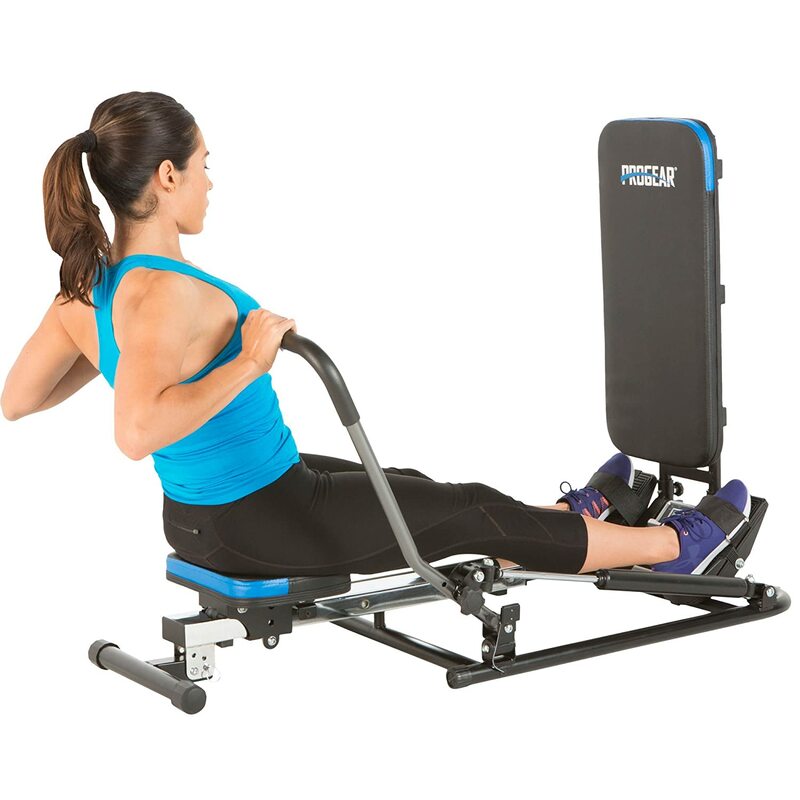 Another great thing about the ProGear 750 is that it can be folded for storage and this makes it an ideal option for those who have very little space for workout equipment. However, this model has its cons too. Most of the exercises that you can do are focused on the upper body and middle part of the body. Moreover, the additional exercises you can do on this machine aren’t explained in the manual. But, luckily, you can find the videos on YouTube. Lastly, the machine doesn’t have heart rate sensors. Rowing is one of the best exercises that you can do at home to improve your overall body strength and health. That’s why, if you plan to get a rowing machine, you should take time to get informed on different rowing machine types and find out which one is best for you. We hope that our guide and reviews helped you find the very best rowing machine that will inspire you to work out every day and make a progress. As always, we would like to talk about our favorite model from the list. 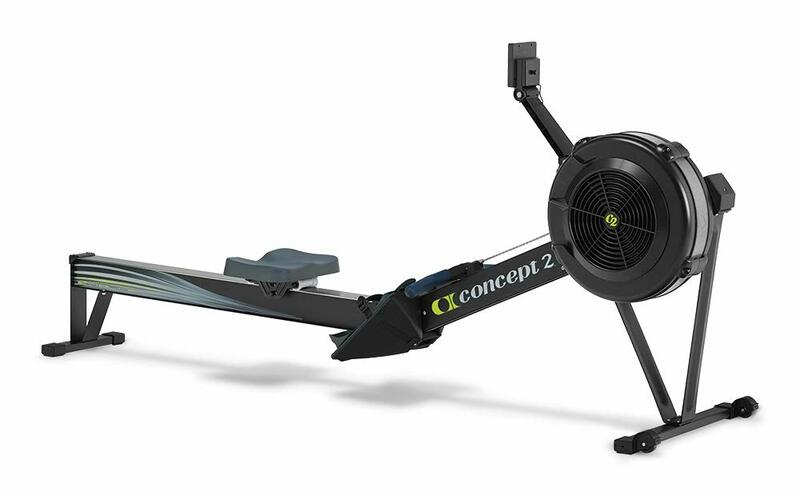 It’s the Concept 2 rowing machine – a top-of-the-line rower that is worth every penny. This model has been the number one for fitness enthusiasts, fitness centers and gyms for quite some time because it has all you need to achieve your fitness goals. It’s build to last and to keep you on track. That’s why we love it so much, and if you opt for it, so will you. People often ask: Which is the best rowing machine to buy? And we usually answer them the one that fits their fitness goals and their budget. 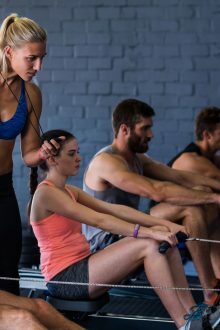 Of course, you need to know the basics about rowing machines and what features to pay attention to when choosing a certain type and model. That said, here’s our buyer’s guide. 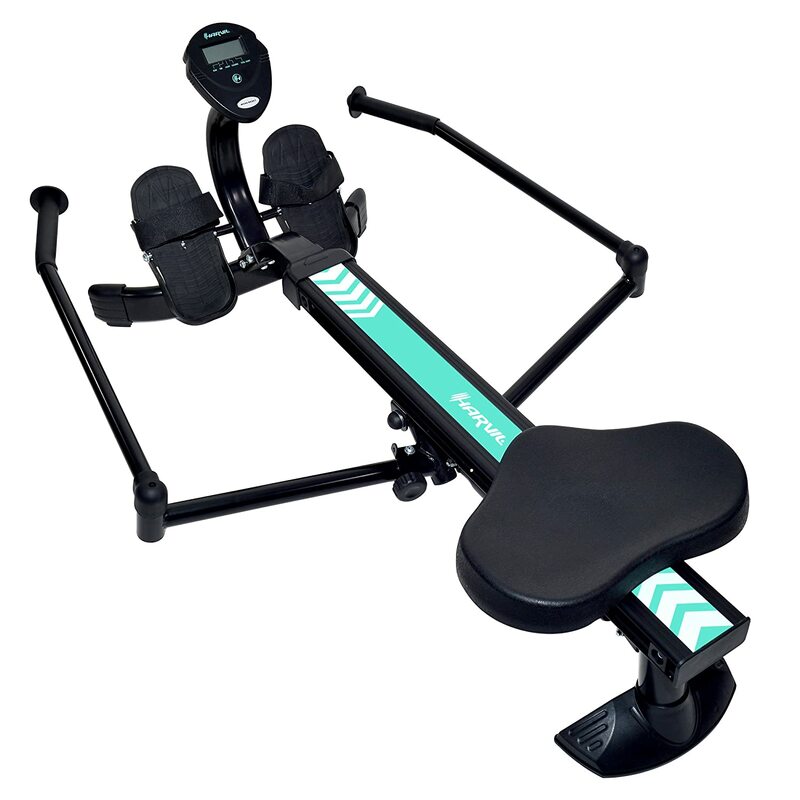 As you probably already know, there are different types of the rowing machine, each one offering something unique to the users. If we speak about what is the best type of indoor rowing machine, every seasoned rower will say this one. Air rowers offer continuous and smooth action, replicating rowing on water. Moreover, air rowers are less prone to wear and tear. These machines use airflow to produce resistance from the pulling motion. If you want to increase resistance, you just need to pull harder. However, these machines tend to make noise, so if you live in a shared building, you may want to look for the next type. Are air rowers better than magnetic? Yes, if you’re a seasoned rower, and no if you just want to work out. These don’t replicate rowing on water, but they have other advantages that make them very popular. They make the least noise of all four types. 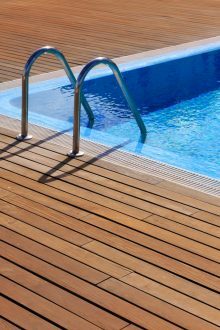 In addition, they usually occupy less space than water or air rowers and there is little maintenance required. Another great thing is that most models can be folded down and stored when not in use. To conclude, magnetic rowers are a great choice for those who want to get in shape. Hydraulic rowing machines are not among favorite machines as they are considered “outdated”. However, they do their own advantages – the affordable price, and smaller and quieter design compared to flywheel rowers. They are used by those who don’t have lots of space in their home or are on a tight budget. Also, many hydraulic rowers are foldable and can easily be stored out of the way. 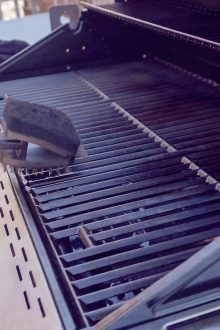 However, they require regular maintenance, don’t give the smooth action, and are not so comfortable to use. Water rowing machines are a great option for those who participate in outdoor rowing. These machines are relatively new on the market and have been specifically designed to simulate the real rowing in water. They offer smooth and consistent resistance just like air rowers. But, these are quieter than air rowers. And another plus is the calming sound of water in the tank. 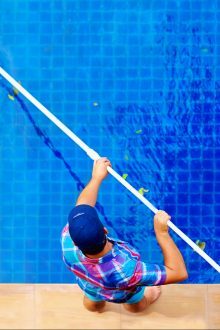 Other than changing the water in the tank occasionally, there is no maintenance needed. However, water rowing machines are expensive and larger than other types of rowing machines so they occupy lots of space. Before deciding which type would best work for you, first, you need to question your fitness goal. Do you want to lose weight and gain muscles? Perhaps all this time you’ve been using a stationary bike or a treadmill and you think it’s time for a change? Or you want to start rowing because you want to compete one day? When you find an answer to this question, you can move on to the next step. Now that you know how many types of rowing machines there are, you understand why the second step is to check how much space you have and where you plan to set up the machine. Remember that there are foldable rowing machines that can be stored when not in use. As mentioned, some rowing machines make much more noise than others. So, if you don’t want a noisy machine, make sure to look for a magnetic rower or a water rower. The last thing you need to decide is how much you’re ready to invest in a rowing machine. Of course, cheap rowing machines will have fewer features than machines costing much more. But, if you want a cheap rower, go for it. It all comes down to your fitness goals and budget anyway.